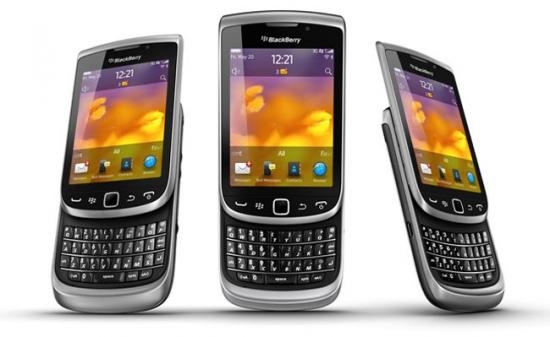 Are BlackBerry Users Really Going To Abandon Ship? "Around a third say this week's outage will force them to look at alternative mobile services. Nearly 20% of BlackBerry users are in the process of moving away from the platform, while a further 34% believe they should consider switching to an alternative mobile platform following this week's massive service outage, a CBR survey has revealed." It has been a tough week on both sides of the equation: BlackBerry users who rely on consistent, predictable service, and all those stakeholders involved with production and delivery of the BlackBerry service. This is not the first BlackBerry outage, but I'm not sure people are as forgiving this time as they were for previous outages. There are definitely many users enamored with the platform, and IT organizations dedicated to providing it for them, but the survey results from CBR will surely get the attention of a lot of stakeholders, including RIM. So, readers, will this be a potential windfall for Windows Phone 7? First things first........this cannot be considered as a valid survey. The total sample was only 307 people. No where near enough to be considered valid. I give WP a better chance of survival on its own merits opposed to sitting around hoping for others to collapse around them and moving them up the list. Don't worry about RIM or anyone else faltering, just build a decent platform and the rest will take care of itself. After 7 faithful years, I abandoned Microsoft's mobile platform for Blackberry after upgrading to WP7.0 from 6.5. The reason? ALL of the useful functionality of WinMo 6 and earlier was wiped out in the WP7 reboot. Although I'm still not quite happy with the WindowsPhone platform even since the Mango update (there's still a lot missing compared to what was available before), I've decided to move back to WindowsPhone after the last major Blackberry outage a few days ago. After moving to BB 1 1/2 years ago, I've since experienced 3 major outages that had nothing to do with my local Exchange email provider. That's the major problem with Blackberry--When the SINGLE source goes down, EVERYONE goes down with it. Last week, I was without email, calendar and task sync for 2 1/2 days. This wreaked havoc on my business. Can't do that again. I bought another Dell VP yesterday, upgraded it to Mango and tossed the Blackberry. There are more options available dealing directly with an ISP/email provider than there are when Blackberry goes down! Funny thing, I always criticized BB for the fact that the service relies heavily on on a SINGLE source. Then I folded after being disappointed by the initial release of WP7. And then Blackberry failed me lol. I admit, I'm still in a bit of smartphone limbo. No major platform is perfect, and it seems like I've gone BACKWARDS in features/functionality no matter what platform I use. I've tried iPhone, Android and Blackberry, and no platform has worked as well for me as WindowMobile 6.5. WinMo had it's share of issues too, but its features outweighed the issues. WindowsPhone 7.5 is a STEP closer to what I had before in earlier Windows Mobile versions, so I'll try to deal with its shortcomings and hope that Microsoft (sans Steve Balmer soon I'm predicting) make it 100% better than WM6.5. Then I'll be happy, again. Last edited by Eriq Cook; 10-16-2011 at 12:22 PM..